At Mavrix Welding Automation we are the manufacturer, not simply an integrator. The components found on our automation are manufactured at our facility in New Berlin, WI. As the O.E.M. this provides us freedom to customize our equipment to meet your needs. Mavrix incorporates your requirements and our expertise to provide the right equipment for your process while maintaining ease of operation. We believe that automation is key to providing the highest level of productivity and ensuring operator safety. Our reputation of building machines that are reliable, durable and innovative has kept our customers coming back to us for their welding needs since 1986. We believe that maintaining your equipment should be cost effective, safe and easy to perform, so you can focus on your bottom line. Our philosophy of working closely with our customers has made Mavrix the company to call for your welding automation. 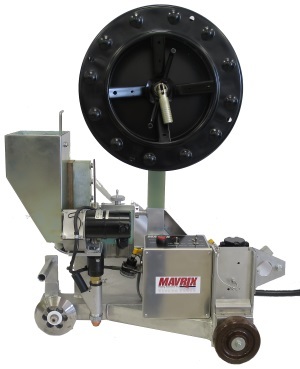 Since 1986 Mavrix has been designing, manufacturing and distributing welding automation around the world. Our customers are leaders in their industries and we work closely with them to identify future needs and ensure our products are ready when they are. With equipment in Australia, New Zealand, Mauritius, South Africa, Tanzania, Peru, Ecuador, Columbia, Mexico, India, United Arab Emirates, Belgium, and nearly all Canadian Provinces we have proven through the years that we are able to support and provide service and parts to anyone. The industries we serve include Cement, Power Generation, Aggregate Processing, Sugar Cane Shredding, Steel mill rolls and chocks, Dredging, Oil & Gas & Agriculture. If your process requires surface buildup we can provide automation using many process including; MIG, Open Arc, Sub-Arc, Strip Cladding, Electro Slag, PTA & Metal spray. While we have many products that are consider standard including the Roll-O-Matic, Impact-O-Weld, Vers-O-Weld, Roll Arc 4000 & Shredder Disc Rebuild systems all require some level of customization to ensure a proper fit with the customer equipment. For most large scale projects the machines are designed using the customer specific products and then using standard building block we develop and configure the machine that will best suit their needs. Copyright 2017 Mavrix, Inc. All rights reserved. Send mail to info@mavrixweld.com with questions or comments about this web site.